In the opening sequence of director Carlos Reygadas’ latest film, the 2013 Post Tenebos Lux, a man facing an unknown existential terror screams without making a sound, a tiny child is left alone in a muddy field in a vast mountain landscape with large hungry dogs and menacing bulls, beasts that might rip her apart at any moment, another man beats an errant puppy, banging its head against the ground, someone else takes a chainsaw to trees in the forest, gouging out their knotty hearts. This is the filmmaker’s paradise lost, innocence squandered, fervid beauty bludgeoned—by the evil that plagues us, the viciousness of nature, wildness inside and out of us we can’t control. 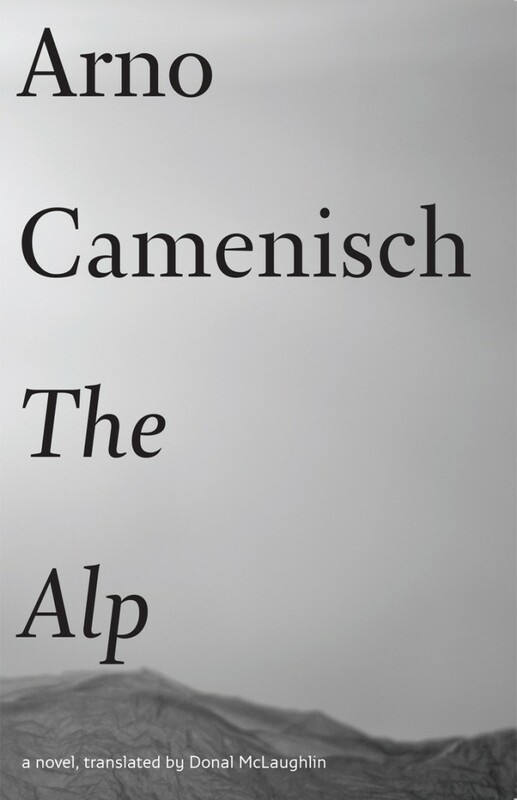 It was impossible not to think of Post Tenebros Lux while reading Arno Camenisch’s slender novel The Alp, a similarly evocative lament for man’s hopeless quest to preserve a paradise that never really was, a dairy and swine farm high in the Swiss Alps. A single cruel summer ends with the book—Camenisch like Reygadas is drawn to the border between living and dying—and we are left to wonder if the following summer it won’t be razed for a hotel. What’s happening here—the remains of rural life at odds, it seems, with everything else, and yet increasingly fetishized for its goods—isn’t a new story, of course, or particular to the Alps. For decades, even centuries, people have been abandoning the rural world and at the same time romanticizing it; half of the human race now lives in urbanized places. But Camenisch treats it with an unflinching eye trained on the points of heightening tension—all the mini skirmishes—where it seems each day the farmers cede further ground. Camenisch’s exploration revolves around four unnamed characters, the farmhand, who we’ve already met, missing two fingers from his right hand, the rogue dairyman who keeps a bottle of brandy in his Subaru Justy, the fatalistic cowherd, and the swineherd. The dairyman sits above the others, an uncertain king, “wheels of cheese…stored like gold ingots in the cheese cellar.” He sleeps, notes the cowherd, “with one eye open.” The Cowherd eats with only one fork, which he wipes off on his pant leg after each meal; the farmhand lies about in the haystacks reading 1960s tracts on the rural life: “Visitors, for whom our region serves as a health resort, must never be given reason to take umbrage.” Occasionally, he finds himself in a meadow clearing with the cowherd from the neighboring farm. She’s astride him as the sun glints through the mountain peak. The magic of Camenisch’s prose, so delightfully translated by McLaughlin, comes in these symphonic bursts. The author’s utter sensitivity inures against cliché, even as he advances onto such well-trod literary territory: man against nature, man against animal, man against machine, man against himself. In fact, the weather is mostly awful. In the high pastures it’s constantly foggy; higher still there is driving snow. By August, the cows are hungry for lack of good pasture, the pigs have run too much to fatten up, and the bulls are dangerously in heat. Exhaustion, hunger, filth get to the farmers and under these conditions, accidents happen. Someone has inserted a nose ring into a pig’s snout in the wrong place, now the animal can’t breathe. It’s bleeding and dying. Someone else, trying to “finish off a rabbit,” has shot himself in the foot. All the while, tourist brochures and posters keep appearing at the farm. School children arrive, Japanese tourists, a bachelor party with crates of beer, cigars, and brandy. The farmers watch men taking chainsaws to fir trees; they’re cutting a new road. A hotel is coming. Others across the valley, the farmhand notices, are leveling pastures for a golf course. In a sense, the farmers don’t really care; they’ve perfected an indifference to the outside world (the phone doesn’t even seem to work). And anyway, the work of the farm is too involving. It’s a hard, fast season, only, amidst the infinite mountains, a drop in time; what happens is only what happens. Yet Camenisch, who mourns this lost world, is probably a little angry. The anger, fortunately, doesn’t blot out his nuance. Rather, it sharpens the irony he’s so attuned to, the irony of commodifying a world even as we’re killing it. The summer will end, as it does each year with a celebration of Swiss mountain tradition on “anniversary” day. The farmhand, the dairyman, the cowherd, and the swineherd will put on traditional dress and lead the best cows, outfitted in merry garlands and special bells “bigger than bulls’ heads,” down the mountain to be admired by dignitaries, lowlanders, and tourists’ cameras. Bands will play the old compositions: if you want to experience the essence of the mountains, listen to the way the horns mingle with the chant of the bells, For once, the sky is bright, the alp is gleaming.